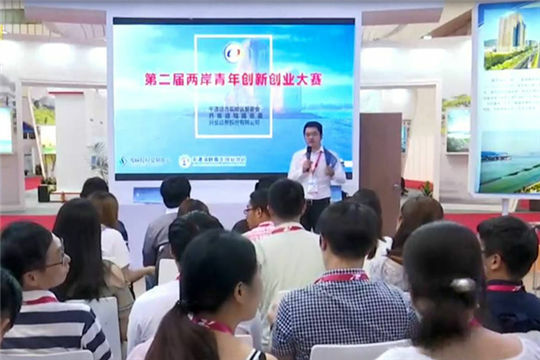 Pingtan in South China's Fujian province was a popular destination for Taiwan talents to seek employment at one of China's biggest cross-Straits job fairs, held in Dongguan, Guangdong province on July 8. Part of the 2017 Seminar on Cross-Straits Youth Employment and Entrepreneurship, the job fair attracted a large number of companies from across China and provided an estimated 3,000 job vacancies for young talents from both the mainland and Taiwan. Nearly 500 of those jobs were located in Fujian province, the second highest of any province after hosts Guangdong. And of those 480 jobs, a full quarter came from Pingtan. The preferential annual salaries, set at a minimum of 100,000 yuan ( $14,747.7), offered by Pingtan companies made the city stand out as a destination for talented cross-Straits youngsters looking to find work or start a business. Plenty of job seekers showed great interests in the jobs in Pingtan, and among them more than 30 Taiwan youth applied on the spot and said they planned to visit the city soon. "I hardly knew anything about Pingtan before even though it is not far away from Taiwan," said Fan Zheyao, a job seeker from Taiwan. "Through the event, I got to know the city, and Pingtan is still under development and full of opportunities," he added.